Are you brave enough to explore a pioneer village after dark? Experience the haunted-side of Black Creek Pioneer Village on this 75-minute ghost tour! 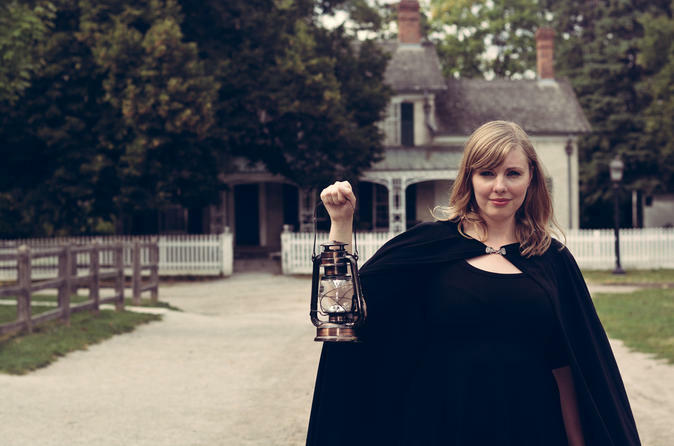 The Haunted Walk Experience at Black Creek Pioneer Village is led by the best of local storytellers, dramatists and amateur historians. They share some of the most hair-raising and spine-chilling real-life ghost stories from the village and surrounding area as they lead you by lantern light through the old buildings. Are you afraid of the dark? You will be. The tour will begin and conclude at the Visitors' Centre, located directly off the main parking lot. Transportation to Black Creek Pioneer Village is not provided. Due to the dark and isolated nature of the village, we generally do not recommend this tour for children.